There seems to be a lot of panic about the flu lately. I blame this particularly virulent strain of H3N2 Influenza going around and I kinda blame some of the media stories for "honing in" on sad and scary stories. The Urgent Care Centers at Cook Children’s are seeing more kiddos day in and day out than our Emergency Department (nearly double). The Fort Worth Urgent Care alone is seeing almost as many kids per hour than the ED on any given day. Flu testing will be driven by the incredible experience of our Urgent Care providers. They are giving flu tests as needed, and they know best what flu looks like in North Texas and have the best skillset to determine appropriate treatment and testing. Click here to learn more about why your child may not be tested for the flu at one of our Urgent Care Centers. While I think it's important you know how bad the flu can be, I'd like to give you a few quick facts and tips to make you hopefully feel better educated about it, and feel less scared. 1. The flu happens every year. It hits hard from December through March (and other months, but those primarily). There are deaths every year. Kids, healthy people, old people, babies, and folks with chronic illness die every year. We aren't sure if the rate of death is higher this year compared to years past. It may not be. But the media is certainly paying a lot of attention to it right now. Maybe that's both a good and a bad thing. Remember that the flu is usually a "mild" illness (I mean, you feel like you've been hit by a truck, but we call that "mild" in medicine, ha). It hits fast and fevers can go high, which is worrisome, but with a lot of rest, fluids, pain and fever reducers, things usually get better after 3-5 days. The cough and congestion can last for 2 weeks. 2. Scared to vaccinate? Hear stories? Hate shots? Have an uncle who loves to talk up a good conspiracy theory? Know this: you can still get the flu even if you get the vaccine. BUT: it's usually milder, if you do get it. Studies have shown that the people (and children) who get very sick (think hospital, think death) are those who are largely unvaccinated. "This study, which looked at data from four flu seasons between 2010 and 2014, found that flu vaccination reduced the risk of flu-associated death by half (51 percent) among children with underlying high-risk medical conditions and by nearly two-thirds (65 percent) among healthy children." Get your kids vaccinated. It's not too late. 3. You are contagious with the flu 1-2 days BEFORE you start showing symptoms. How sneaky is that? 4. You are contagious 5-7 days after you start to show symptoms. Your KIDS can be contagious up to 10 DAYS after they start to show symptoms. 5. You should keep your kids out of school for at LEAST 24 hours after their last fever. This means fever without the use of meds to keep it down. If it's financially feasible for you, I'd even try to keep your kids out at least 7 days after the first symptoms start. 6. Call us (or your pediatrician) anytime if you're worried about the flu. We can walk you through what is normal and what isn't. Tamiflu can help make it less severe sometimes, for some people. I wrote another post about who needs it, when, and why. Click here to read it. I know this is long, but I think the more education you get about it, the more prepared you feel, right? And remember - WASH YOUR HANDS! The flu can live on some surfaces up to 24 hours in cold weather! Think about all those door handles you touch! The cash you get handed back from the cashier! The snot that flies from every person's sneeze can cover a 6 foot radius around them! On Jan. 24, 2018, the Cook Children's Fort Worth Urgent Care Center treated 328 patients between the hours of 7 a.m. and midnight. The staff is seeing volumes in the 300s regularly. The Mansfield and Alliance UCC locations are seeing in the hundreds with the Southlake location seeing 60 to 90 patients on a regular basis. Each site is seeing an increased volume, which is typical for the flu season. With that many children visiting the Urgent Care Centers, not all children are tested for the flu during their time at the Urgent Care Center. So why are some children tested and some not being tested? Click here to learn why. Get to know Diane Arnaout, M.D. Dr. Diane Arnaout joined the Cook Children's Willow Park practice in 2011. You can stay connected with Dr. Arnaout and the Willow Park practice on Facebook. Dr. Arnaout was born and raised in the Dallas-Fort Worth area. She attended college at Texas A&M University and medical school at the UT Health Science Center in San Antonio. She did her pediatric internship and residency at Children's Memorial Hermann Hospital and M.D. Anderson at the Texas Medical Center in Houston, TX where she served as a leader on the medical education committees. 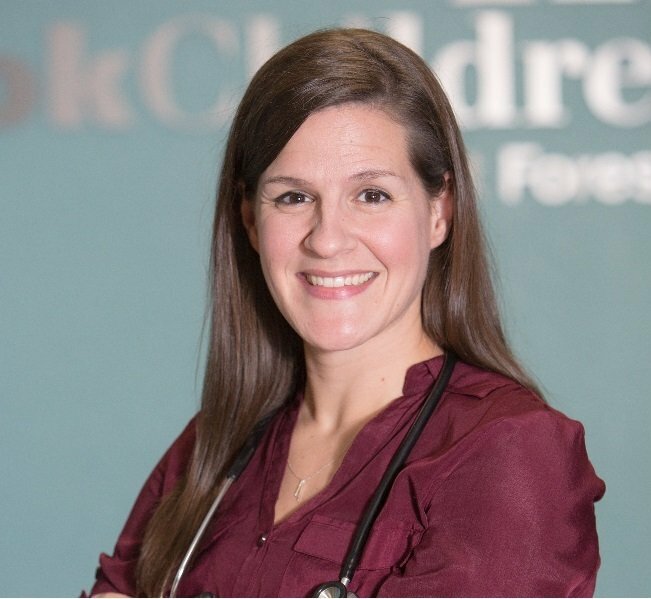 She is a board-certified pediatrician. Click to learn more.